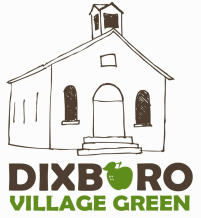 Dixboro Village Green Events - Dixboro Village Green, Inc.
Dixboro Village Green , Inc. In the heart of Dixboro Village is 1.7 acres of open land that was designated a village meeting place in 1824 when Dixboro was first plotted. Bordered by Plymouth Road on the South, Short Street on the East, Church Street on the North, and the Shops on the Green on the West the Dixboro Village Green is the location of the historic Dixboro One Room Schoolhouse that was built in 1888 and used until the mid 1960’s. In 2011, members of the greater Dixboro community came together to foster a rejuvenation of the Village Green and historic One Room Schoolhouse by establishing a Board of Directors and formalizing their relationship as a 501C3 not-for-profit Michigan corporation. The first task of the Board was to create a community gathering place by initiating an open-air farmers’ market on the Village Green. After months of planning the Dixboro Farmers’ Market opened with seven vendors and a glorious crowd on May 18, 2012 (by 6 PM all of the vendors were sold out). A few months later in October of 2012, the Dixboro Village Green was the recipient of a $35,000 grant from the federal government to enliven this quasi-food desert community by expanding fresh, local food offerings. With the success of the farmers' market in toe, the Board announced that the second community gathering endeavor would be an all-inclusive car show to take place in conjunction with the Friday's farmers’ market. On September 27, 2012, a warm and beautiful Friday, Cars of the Green premiered 70 rare, classic, hot-rod, and unique automobiles. With many more activities, learning experiences and unique reasons for gathering, the future of the Dixboro Village Green is very promising. To provide local residents with access to fresh, locally produced foods and to connect local farms to an active rural (village) market. To build community by bringing people together in an on-going, open and engaging atmosphere, and to support the dialog, relationships, and engagement necessary to the social capital that is foundational to sustained community renewal. To directly and indirectly promote health and healthy choices for residents through quality options in food. To raise awareness around food production and distribution and to assist in building a sustainable ‘food shed‘ (everything between where a food is produced and where a food is consumed. It includes the land it grows on, the routes it travels, the markets it goes through, and the tables it ends up on) for the Dixboro community and its surrounding neighbors. To enhance the economic viability of the village of Dixboro through an increase in the activity and excitement associated with the neighborhood and an increase in the pedestrian traffic in the area.